Say what you will about the Food Network . . . we watch it all the time. A Theatre professor at my college taught me that good theatre evokes a reaction. The Food Network must be GREAT theatre because it definitely evokes a reaction: Ina Garten soothes my soul. Bobby Flay makes me want to punch him in the face and grill burgers at the same time. And Giada makes me grateful for my small teeth and normal speech patterns. While it's easy to criticize these characters (although I will never criticize Ina! 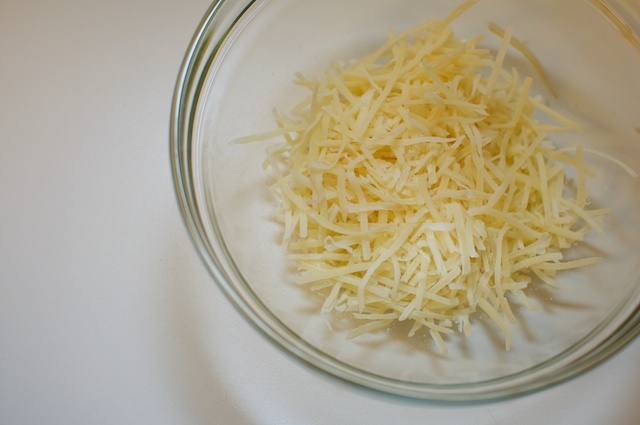 ), they make great dishes that are easy for home cooks. I'm grateful for this. In other news . . . I married an amazing man. He's smart, hilarious, tall/dark/handsome, and he cooks me dinner too! He recently announced he was making me the Parmesan Fish Sticks we recently saw on Giada's show. (FINE BY ME!!) 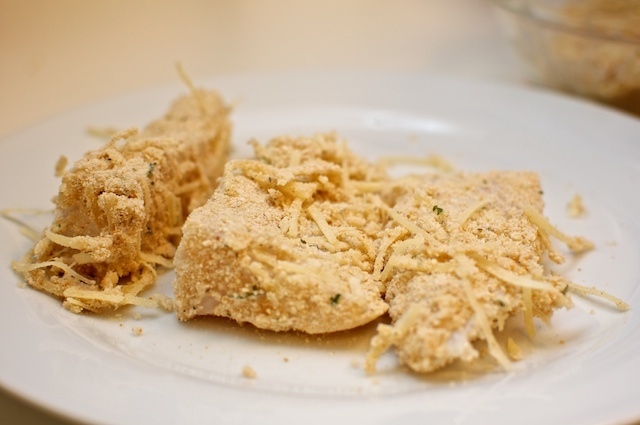 Halibut is soaked in buttermilk, then dredged in flour, then egg, then breadcrumbs and parmesan cheese. Baked to crispy perfection. Thank you husband . . . and thank you Giada. 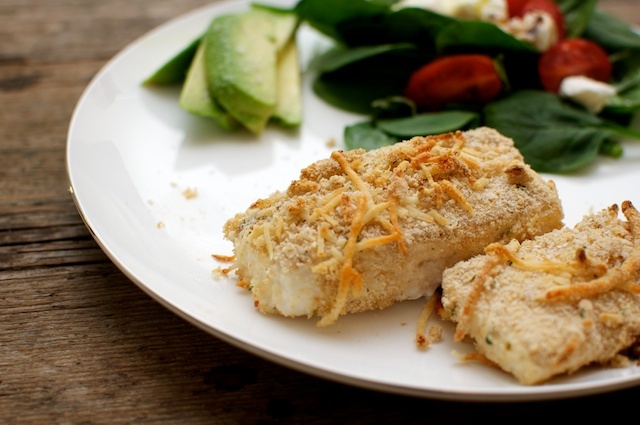 Place halibut in a bowl with buttermilk and soak in the refridgerator for at least 1 hour. 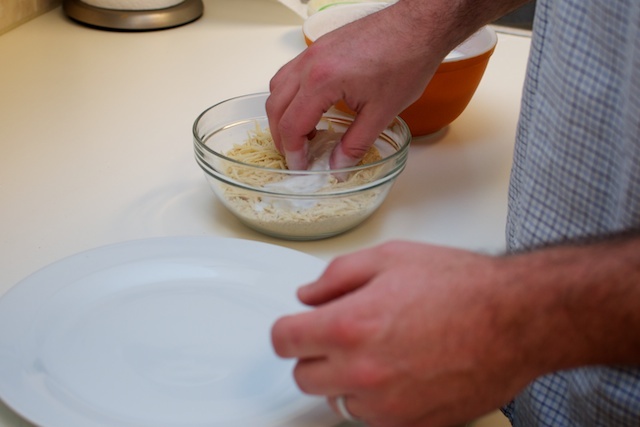 Set up you dredging station: one bowl of flour, one bowl of eggs (beaten) with salt and pepper, and one bowl of the breadcrumbs and parmesan cheese mixed together. 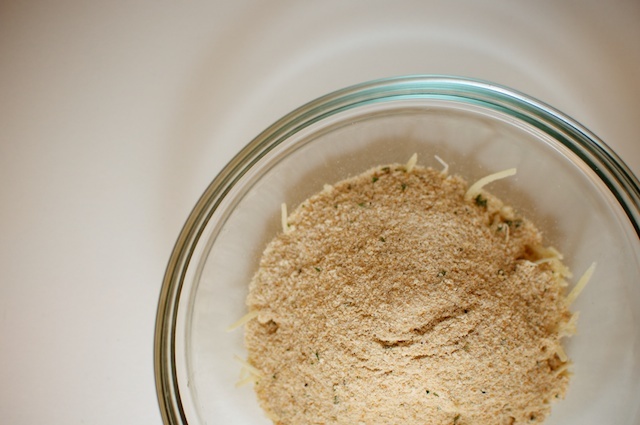 Remove fish from the buttermilk and dredge in each of your bowls (flour, eggs, then parmesan breadcrumbs) and place on a cookie sheet. Drizzle fish sticks with olive oil and bake at 450 for 15 to 20 minutes.